Light weight Harkaway bluestone 3D effect stone cladding panels. 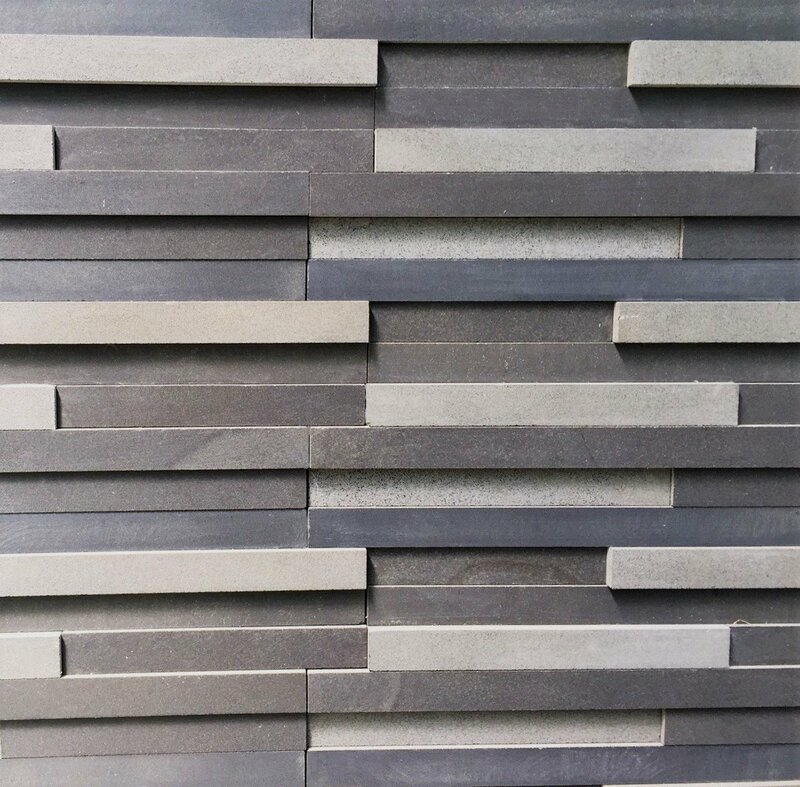 The individual bluestone pieces making up this stone cladding tile or panel are Honed, Sawn, Fine Honed and vary in thickness. The panels are 600mm long and 200mm high and are interlocking.